It's never been a better time to get into cloud security - and companies are willing to pay big for experts who can protect them from cyber attacks and snoops. Got 30 hours? We'll help you launch your career in data security: the Complete IT Cloud Security & Hacking Training is just $33.99 at Escapist Deals. You'll save over 90% off this normally $1,395 course, and be on your way to a new, lucrative career in 30 hours of training. The class is packing with engaging labs, games, and activities that help you learn essential skills and test you along the way. You'll learn about a variety of cloud computing programs, learn how to best secure each one, and find out how to expose vulnerabilities so you can stop security threats in their tracks. 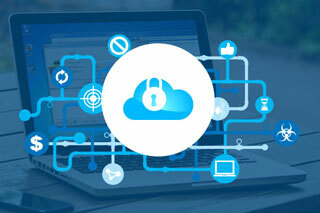 Get a year of access to the Complete IT Cloud Security & Hacking Training is just $33.99 at Escapist Deals.